Benzodiazepines are prescription drugs that treat a wide range of conditions, including anxiety, panic attacks, seizure prevention, muscle spasms and sleep disorders. Unfortunately, they are highly addictive drugs and are widely abused. Doctors typically don’t prescribe Benzodiazepines for long-term use due the high potential of addiction, but many individuals with legitimate prescriptions do form addictions. Others begin taking Benzodiazepines recreationally to get high and become addicted this way. A physical addiction develops when a user becomes dependent on Benzodiazepines and experiences withdrawal symptoms if deprived of it. A psychological addiction forms when the user feels a need and compulsion to take the drug in certain situations or on a regular basis, regardless of negative consequences. Abuse of Benzodiazepines can be very dangerous, causing some serious side effects, including irritability, disturbing dreams, amnesia and serious memory problems, extreme sleepiness and hostility. An overdose can shut down respiration and lead to brain damage, coma or death. Often, Benzodiazepines are referred to by the brand name of the prescription drug containing them. Someone might talk about scoring some Valium or Xanax despite not having a prescription for those medicines. In other cases, the user might refer to the generic name, such as Diazepam or Alprazolam. Benzodiazepines strongly affect the brain, causing sedation. They directly affect the Central Nervous System (CNS), belonging to the family of CNS Depressants, by blocking specific receptors and preventing the brain cells from getting activated. This means that they literally slow down or suppress the activity of the nerve complex in the brain and spinal cord. Someone taking Benzos might feel calm or euphoric. Vivid dreams, including dreams with disturbing imagery, can occur. Overdoses can be deadly. Benzos impair your motor skills and coordination and can cause you to be exceedingly tired or drowsy, making it extremely dangerous to drive or use machinery while under the influence of these drugs. You could easily fall asleep or unconscious and cause a serious accident. As with all prescription drugs, it can be difficult to tell when a loved one is abusing or has developed an addiction to Benzodiazepines. You might not know how often he or she is taking a medication, or what the expected effects of a proper dose should be. Benzos should usually only be prescribed for a short time, or for infrequent use as needed. For example, a person may be prescribed Xanax to use only when experiencing a debilitating panic attack. People develop tolerances quickly when they abuse drugs. If your loved one ever runs out of a Benzodiazepine prescription earlier than it is supposed to last until or becomes anxious when there are only a couple pills left, he or she may have developed an addiction. People suffering from addiction also tend to distance themselves from friends and loved ones and withdraw from activities they once cared about. If your loved one makes frequent excuses for their absence, it may be to use drugs and is a sign of addiction. Someone abusing Benzos may frequently seem out of it, fatigued or overly tired. Benzos, especially when abused, hinder the memory faculty and cause amnesia and black out experiences. If your loved one forgets things excessively, Benzo abuse may be involved. Benzodiazepines are very dangerous drugs to abuse. It is possible to become addiction and develop a tolerance to some Benzos after only a couple of weeks. Benzos withdrawals can cause life-threatening seizures and are often fatal. If you run out and do not obtain more quickly, the consequence could be your life. Additionally, Benzos inhibit memory formation, causing memory loss which can continue, after long-term abuse, for years after getting clean. Deaths related to Benzodiazepine abuse rose 160% from 1994 to 2004. Benzodiazepine abusers get their drugs from friends or family members. Only about 4% get Benzodiazepine from illegal dealers or strangers, and about .1% obtain Benzodiazepine from the Internet. Getting help for Benzodiazepine addiction and abuse is essential if you want to break free from drug use and start leading a healthy, happy life. Treatment for addiction to Benzos involves three steps: detoxification, rehab and long-term recovery. A professional rehab facility ensures that you get professional help through all these phases. Many people try to break free of Benzodiazepines on their own, but this is extremely difficult and dangerous. Cravings and withdrawal symptoms make it hard to stay off the substance without assistance. Rehab programs give you a better chance at a full recovery because the professionals who work there are trained to guide people who have developed addictions through the difficult process from start to finish. During treatment, you work with therapists to uncover the roots of your addictive behavior and learn how to survive without Benzos. In rehab, you learn new life skills and develop ways to resist triggers in the future to ensure that you don’t start using again once you leave the facility. If your use started as a legitimate prescription or as self-medication for anxiety, stress, panic attacks or another mental health issue, it can be terrifying to think about facing those problems without drugs. At a good rehab program, professionals in the field address these underlying issues, focusing on how best to treat mental illness. Detox is the process of removing all traces of drugs from your system. For Benzodiazepine abuse, a medically supervised detox is necessary because the withdrawal symptoms can be life-threatening. With all Central Nervous System Depressants, withdrawal symptoms can be severely uncomfortable during detox. There are medications and procedures in place at a proper detox facility to ease this discomfort. Withdrawal symptoms begin anywhere from 6 to 48 hours after you stop using, depending on the specific drug you have been taking. It might take a few days, weeks or even months to be completely free of withdrawal symptoms after halting Benzodiazepine use. During a medical detox, you will most likely be slowly weaned off, by reducing the dose you take under a doctor’s supervision, to avoid fatal seizures. Your doctor may use a different drug to help with the weaning process. Attempting to wean yourself off Benzodiazepines without medical assistance is almost always destined to fail, and trying to quit cold turkey can be tragically fatal. Please, seek help and do not attempt this alone. When you detox in an inpatient rehab, the calm, controlled environment can also ease the process. Staff are on hand 24 hours a day to help you through the worst withdrawal symptoms, and doctors remain on call to handle any medical needs you might have during detox and recovery. Addiction to Benzodiazepines is a disease that requires treatment. It’s not your fault if you become addicted and there’s no reason to feel guilty. A Benzo addiction can happen to anyone. Addiction isn’t limited to a specific age or social group, and it can sneak up on you when you aren’t expecting it. Many who initially use Benzos as a prescription drug become addicted. Because the initial prescription comes from a doctor, people tend to think of these drugs as safe. You might not realize you’re addicted until it’s too late to stop on your own. Benzodiazepines cause an increase in Dopamine, the pleasure chemical in the brain. In most people, a chemical called GABA slows and controls dopamine release. Benzodiazepines block GABA, so Dopamine is released freely and the person feels a surge of euphoric pleasure. Eventually, the user starts to crave this Dopamine release and takes Benzodiazepines specifically to get it. When this happens, the brain actually changes to make quitting Benzos more difficult and willpower is rarely enough to break the cycle. In advanced addiction, the urges to use are far from the user’s control. Effective treatment for addiction is available. Many people addicted to Benzos go through rehab treatment and achieve a full recovery. Our trained rehab staff can help you escape addiction and return to a happy and healthy life without substance abuse. For some, Benzodiazepines abuse becomes an actual dependency. Your body adjusts to the drug, which shifts from being something you want to something you need. You might feel as though you can’t deal with your problems, anxieties and everyday stresses without Benzodiazepines. Tolerance to Benzodiazepines develops over a short period of consistent use, so the amount you used to take doesn’t have the same effect as before. Taking just a little more achieves the effect you want, but the tolerance grows and a little more quickly becomes a lot more. As your brain changes in response to Benzodiazepines, you might also feel as though normal activities don’t give you pleasure at all anymore. As physical dependency grows, it becomes harder to quit. Your brain starts to require the drug and cravings develop when you don’t have access to it. If you try to stop using benzodiazepines, severe withdrawal symptoms quickly drive you back to drug use. You might resort to illegal activities to get more. Even though you know that continuing down the path of Benzo abuse is dangerous, you can’t seem to help yourself. Dependency to Benzodiazepines might make you feel as though your life is completely out of control. There is hope for recovery, though. Entering treatment is the first step to taking back your life and freeing your brain and body addiction and dependency. What Do I Say in A Benzodiazepine Intervention? You will speak directly to your loved one, only speaking in love and concern while leaving out judgment or anger. Let him or her know the negative impact their Benzodiazepine addiction causes you. What If My Loved One Does Not Go To Benzodiazepine Rehab? If your loved one does not accept Benzodiazepine treatment, he or she will know there is help when he or she is ready. Keep showing them support without enabling your loved ones’ behavior. When your loved one is abusing benzodiazepines, you might feel helpless and confused, but there are things you can do to help. Staging an intervention could be the thing that finally drives your friend or family member into treatment. Even if the intervention isn’t immediately successful, showing your loved one that you care and that treatment for addiction is possible might be the first step that eventually leads your loved one to seek help. A good intervention makes your loved one realize the harm that Benzos are doing and forces the user to confront the addiction. Showing a drug abuser that someone cares and wants to help can make a huge difference. Banding together with other family members or friends and staging an intervention as a group can break through the denial. It also shows your loved one that many people are there to provide support and love through the entire recovery process. He or she may feel frightened and overwhelmed by the idea of finding and entering a rehab program. By laying out the possibilities for recovery that you have researched, you can guide your loved one toward appropriate treatment. Sometimes people in active addiction feel unable to decide about recovery or don’t know where to start. Providing that information reduces the stress of searching out a rehab program and makes the decision to break free as easy as simply saying yes to what you suggest. 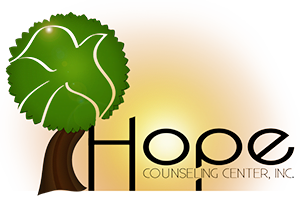 We can help you gather the information and resources you need to stage a successful intervention; call for details. When you are caught in the throes of Benzo abuse and addiction, recovery can seem distant and out of reach. Once you decide to make a change in your life, it is possible to fully recover and live a healthy, fulfilling life without drugs. The process of recovery in a rehab setting is specifically designed to ensure that you have the support and care you need from start to finish. Peers who are going through the same thing let you know that you are not alone during your journey toward recovery. Group therapy sessions and support groups help you develop friendships with people who can relate to your experience and know about the challenges and rewards of recovery. Trained doctors and nurses provide the medical supervision and treatment you need to get through detox and withdrawal. Professional therapists help you uncover the roots of your addiction and give you mental and emotional tools for long-term success. As you escape from a Benzodiazepine addiction, you will develop new coping mechanisms to deal with life. Thousands of possibilities will open up for you, and your life will become brighter and more exciting as the shackles of addiction fall away. The process of recovery isn’t simple and you have to truly want to live a drug free life to succeed. The rewards are well worth the effort, though, and plenty of help is available during your journey. Deciding to enter a recovery program is a life-changing decision and we can help you take that first step. Just give us a call; we’ll help get you started. How Do I Recover from Benzodiazepine Addiction? Inpatient treatment is possibly the best way to recover from an Benzodiazepine addiction, followed up with support groups like the 12-step program. Will I Be Bored in Benzodiazepine Recovery? If you attend Benzodiazepine support groups, you will connect with many people, attend various events and participate in numerous activities. Can I Die from a Benzodiazepine Overdose? Yes. Benzodiazepine overdose has the potential to kill you. If you see someone showing signs of overdose, call emergency services immediately. Can I Overdose on Benzodiazepine? If you believe someone has overdosed on Benzos, or any other substance, contact emergency medical services immediately. Overdose on Benzodiazepines can be deadly. Even if it isn’t fatal, people who take too many Benzodiazepines can suffer severe brain damage, have a stroke or go into a coma. The first signs of an overdose are clammy skin, dilated pupils and shallow breathing. The pulse may become rapid or weak. Eventually, the individual slips into unconsciousness. Respiration and heartbeat slow to a stop. Because of the sedating effects of Benzos, you might not realize that you are overdosing. You might feel sleepy and content or high and euphoric until it’s too late. If you’re using Benzos along with other drugs or alcohol, the combined effects might disguise the overdose symptoms or make an overdose more likely. The longer you abuse Benzodiazepines, the more likely you are to have an overdose. As tolerance develops and you increase your dose to maintain the same effects, the risk of an overdose grows. At some point, you can’t take enough to get the high you want because your brain’s pleasure system simply doesn’t respond as strongly to Benzodiazepines anymore. Instead, taking an extremely large dose or taking pill after pill close together overwhelms your system and sends you into an overdose. People who relapse after recovering from addiction are at a high risk for an overdose. Their tolerance levels have gone down, so the effects are magnified when they take even small doses of Benzodiazepines. Benzodiazepines use has increased significantly over the last few decades. As prescription drugs, they have been instrumental in helping many people who suffer from debilitating physical and mental health issues. Because so many people use these drugs legitimately, it can be hard to know when doctor-approved use has slipped into something more dangerous. As Benzos can be very helpful, many people ignore the signs of addiction and dependency out of fear that the original issues will return once drug use stops. Understanding the difference between use, abuse and dependency can help you know when it’s time to seek professional assistance. Benzodiazepine abuse involves any use of the drug outside a legitimate prescription. If you’re taking the drug more often than prescribed or acquiring extra drugs to up your dosage each time you take it, this is abuse. Another form of abuse is when people take a few different types of Benzodiazepines instead of only the one prescribed. Doctors typically don’t prescribe these drugs for more than a few weeks. If someone is taking them for longer, it is usually a sign of abuse. When someone who doesn’t have a prescription at all acquires Benzodiazepines and uses them to get high, this is always abuse. People who abuse Benzos might obtain the drugs from the black market or doctor shop to get more than one prescription for the same drug. Some try forging prescriptions or altering a doctor’s prescription to get more than the amount actually prescribed. As addiction develops, the user becomes more desperate to get more of the drug and less concerned about the legal and ethical consequences. Benzodiazepines are often easy to obtain when you’re determined to get the drug, so abuse has increased significantly as more people get hold of the prescription medications. Dependency on Benzodiazepines is physical, as well as mental or emotional. The brain changes caused by these drugs make it difficult to stop. Tolerance develops and withdrawal symptoms occur when you try to quit. Even someone who is using them under a doctor’s care can become dependent. If the dependency is caught early and the person is weaned from the drug properly, a true addiction may never form. Withdrawal symptoms can be extremely unpleasant for someone with a physical dependency to Benzodiazepines. They can include insomnia, extreme anxiety, irritability, sweating, sleep disturbances, tremors, headaches, nausea, muscle pain or stiffness, difficulty concentrating and panic attacks. Some people who have been using Benzodiazepines for a long time or in high doses have potentially fatal seizures when they quit suddenly. The severity of the withdrawal symptoms depends on how severe the dependency is and how quickly the levels of Benzos in your system drop. People who have been using these drugs for a long time may go through multiple phases of withdrawal and symptoms might return months or even years down the road. Quitting suddenly without tapering off the dose can cause extreme withdrawal symptoms and can put your life at risk. Someone with a legitimate prescription to Benzodiazepines can experience withdrawal symptoms between doses or after the prescription runs out. This is often the point when use turns into abuse or addiction because the user tries taking a little bit more of the drug to ease the discomfort and ends up going outside the specifically prescribed use. Addiction involves not just the physical dependency, but also a mental and emotional reliance. People who are addicted cannot stop using without assistance. Strong cravings drive the user to acquire and take Benzodiazepines even when drug use is causing severe damage to the person’s health, relationships and career. Fears that anxiety and stress might return once the drug use stops can drive users to avoid getting help. If you started taking Benzos via prescription to control a mental health issue, it can be terrifying to think about returning to that mental state once the drug is gone. Medical care and a professional rehab program are necessary if you want to quit after addiction develops. A good rehab program addresses the underlying causes of addiction, not just the withdrawal and detox phases. Without getting help for the psychological underpinnings of the addiction, you cannot truly recover. During a severe addiction, you may feel helpless and out of control. Relationships fracture, work or school tasks go undone and you might start doing dangerous or illegal things to get the drug. As life falls apart around you, you know you need to stop. At the same time, quitting feels impossible. One sign that someone you love might be addicted to Benzodiazepines is when the person tries to hide their drug use from you. The user might stop caring about things that were once important or let prior commitments go unfulfilled. These are not signs of a lack of willpower. Someone who is addicted to Benzodiazepines truly cannot break free without help. Call us now to get that help. Why Should I Go to Group Therapy for Benzodiazepine Treatment? Group therapy will show you that you are not alone in fighting Benzodiazepine addiction. Is Group Therapy for Benzodiazepine Addiction Helpful? Group therapy with will not only help you learn how to express your feelings on Benzodiazepine addiction, but it will also help you form lasting and healthy friendships. The short-term effects of Benzodiazepines include sedation and intense pleasurable feelings. Some forms of Benzos are short-acting, while others are long-acting. Short-acting Benzos deliver a stronger dose initially, but their effects are short lived. Long-acting Benzodiazepines don’t take effect as quickly, but they stay in the system much longer. Benzodiazepines reduce anxiety more quickly than many other anti-anxiety medications, which is why they are commonly prescribed for that issue. In many cases, the effects begin within a few minutes of taking the drug and can last up to 24 hours. This is also why many people use these drugs to reduce anxiety even when they don’t have a prescription. Their effectiveness puts them at high risk for abuse. Side effects ranging from nausea, dizziness and headaches to extreme sleepiness can affect everyday activities. Another side-effect that is particularly problematic is amnesia, as Benzos inhibit the formation of new memories and the storing of memories long-term. Often, someone who is abusing Benzos will forget taking the last dose and take another, easily leading to overdose. These drugs also impair motor functions, making vehicular and household accidents more likely. These short-term effects typically peak a few hours after use and recede after a while, but they can continue to affect the user for up to 24 hours after a single dose. Uncomfortable withdrawal symptoms can begin up to a few hours after the drugs wear off, prompting you to take another dose. After long-term use of Benzodiazepines, brain changes caused by these drugs can last after the drug use has stopped. People who abuse Benzos for a long time may develop difficulties with memory, learning and overall brain function. After a few weeks of use, the risk of developing dependency on these drugs grows significantly. Physical dependency leads to the possibility of withdrawal symptoms when you attempt to quit and tolerance forms as your Central Nervous System adapts to the presence of Benzodiazepines in your body. Addiction becomes a real possibility as you begin to feel a need for the drugs to cope with everyday stresses. Once an addiction develops, your drug use might start affecting other areas of your life. Friends and family members might pull away from you emotionally, and your actions might cause significant pain to those you love. You could destroy your career or lose your job due to Benzodiazepine use and it could be difficult to build your life back once you burn those bridges. Even if you’ve been using Benzos for a long time, it’s possible to recover from most of the long-term effects. Getting help as soon as possible may allow you to avoid the pain and difficulties associated with the long-term effects of Benzodiazepine abuse. The sooner you seek treatment, the less severe your withdrawal symptoms, so delaying can make things more difficult than they already are. No matter how long you have used Benzodiazepines, professionals can help you safely detox and begin recovery. You will build a stronger bond with your family and repair any damage caused from Benzodiazepine addiction. When you abuse Benzodiazepine, you may have caused your family great harm. Going to therapy can help your family see you are changing and they will give you their full support. Will Inpatient Treatment Help my Benzodiazepine Addiction? Inpatient treatment is one of the most effective ways to recover from Benzodiazepine addiction. How Long is Benzodiazepine Inpatient Treatment? The length of your stay in an inpatient program depends on your Benzodiazepine addiction and the program you choose to go to. Inpatient rehab programs for Benzo abuse put the focus entirely on recovery. Without everyday life to distract you, you can concentrate on breaking the insidious hold of addiction and learn new ways to cope with life. Living at an inpatient facility during your treatment eliminates the need to find food and shelter while you get treatment. You get a comfortable, calm place to live and healthy meals so your body is in the best condition possible to achieve a successful recovery from addiction. Isolation from the environment in which you have used and common stresses of life protects give you time away from triggers to learn about addiction and develop the tools needed to face those elements in the future. Doctors and therapists on staff at an inpatient rehab facility take you through every step of the recovery process. With a counselor, you investigate the causes of your addiction and get treatment for any underlying issues that could hamper your eventual recovery including anxiety, panic attacks or other problems relating to past trauma and negative thought patterns. You learn new coping mechanisms so that you don’t need Benzos anymore to feel normal. Your therapist can also teach you how to recognize triggers and give you tricks and tips on how to avoid them. Peer support and group therapy during an inpatient rehab gives you a support group of people who are cheering on your success. Having others around who are going through the same process makes it easier to move past addiction because you don’t feel as alone. For some, taking time off from real life to participate in an inpatient rehab program isn’t a possibility. It’s much more difficult to recover from addiction when you have to also deal with everyday life challenges and constant triggers. Family and work commitments don’t necessarily mean that recovery is impossible, though. While inpatient rehab programs are the most effective way to overcome Benzodiazepines addiction, outpatient programs can also be successful if you put time and effort into them. An outpatient drug rehab program for Benzodiazepines addiction might involve a combination of individual and group therapy sessions, family counseling and life skills classes. You might need to attend rehab programs daily or several times a week to succeed at your recovery. In some cases, a combination of inpatient and outpatient care is needed. You might check into a hospital or rehab facility during the detox portion of your recovery and continue the process in an outpatient setting. Alternatively, you might go through a full inpatient rehab treatment program and then use outpatient aftercare to ensure that you do not relapse. Many inpatient programs include outpatient aftercare and access to the facility’s alumni network so you can attend support groups with people who have gone through the process before. Choosing the right kind of Benzodiazepine rehab program for you can be complicated, but we can help you sort through the options. Contact us today to learn about the possibilities and get started right away. Will Outpatient Help my Benzodiazepine Addiction? Yes. Outpatient will help your Benzodiazepine addiction, but works best if you attend inpatient rehab first. When you are ready to recover from your Benzodiazepine addiction, you should go to inpatient treatment and follow it up with outpatient rehab.